Ever read a series where you read the first two books in the series and by book three everything goes a bit wrong and you wish you hadn't read it? Yes me too. So frustrating and time consuming as a reader I can tell you that for nothing and I'm finding it is happening all the time of late! Therefore I am POSITIVELY ECSTATIC tell you all this THIS SERIES IS FAB FROM START TO FINISH. Yes it did need to be shouted about! So why would I recommend this series? Aside from the fact it is awesome generally I absolutely love its Britishness yay for UKYA! 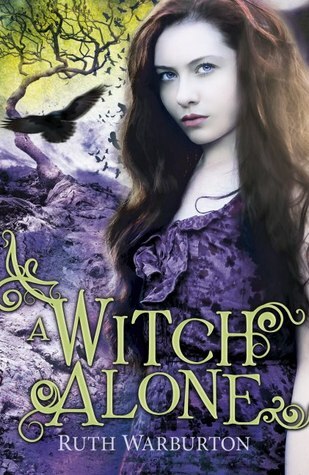 I love that it is a paranormal romance that doesn't leave me wanting to vomit due to the pure soppy ridiculousness of the main character who loses it entirely to be with a creature that ultimately wants to eat her alive. With this series I love that although it is paranormal it reads like a contemporary romance novel and the paranormal side doesn't take over. At the end of the day for me Anna and Seth's story would have worked without it and the paranormal side of the story just adds to it. I love Anna. Love how normal she is but also with that real inner strength and need inside herself to do her best by her family and friends without being perfect. Quite honestly this is a girl you could actually be friends with. Going back to the paranormal side of things I really enjoyed how this series is different. I loved how witchcraft was used in the story as the paranormal element as it is so much more interesting that another werewolf/vampire/angel/fairy story. So coming to this particular instalment. I liked it for several reasons. Firstly the action throughout the book is relentless. As a reader I didn't have a moment to get bored. I loved the developing relationship between Abe and Anna and I also loved how the Anna and Seth story played out. Quite honestly they are probably one of my favourite YA couples at the moment. I loved how the story built on the previous two books and not in a way that made you feel like everything had been held back for this book. I particularly enjoyed all those backstory gaps being filled in and finding out more about Anna and the world she has come from. Oh and without saying too much I loved the twists and revelations. A fantastic read, a brilliant series and one I will continually recommend time and time again. I adored this, so glad you agree. I nearly had a panic attack after that first paragraph! I'm so glad the series has more than lived up to expectations. I really need to catch up!